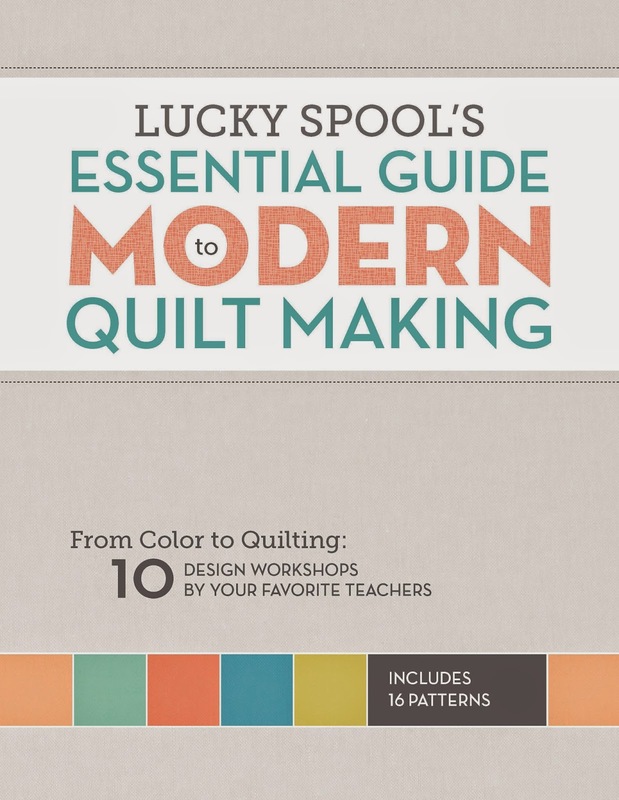 Today is my stop on the blog tour of the new book Lucky Spool's Essential Guide to Modern Quilt Making, which is being released this month. I love this book, and am quite honored to be included in it. The book is really an all-inclusive guide to modern quilt making, and is structured so that each chapter is a different workshop, led by the best teachers in the field of modern quilting, including Denyse Schmidt, Jacquie Gering, and Angela Walters, and each focusing on his or her specialty. 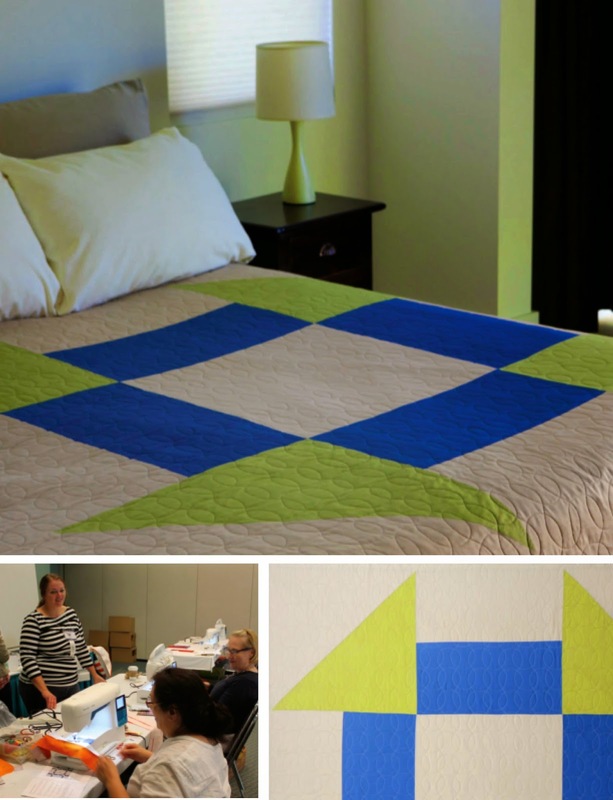 In it you will learn the principles and composition of color, how to piece with solids and prints, multiple curved piecing techniques, the fundamentals of improv and paper piecing, tips and tricks for large-scale piecing, applying alternate grid work to your quilt tops, and modern machine quilting. There are also sixteen patterns that explore all of the techniques that are covered in the book, as well as a gallery of 50 modern quilts. 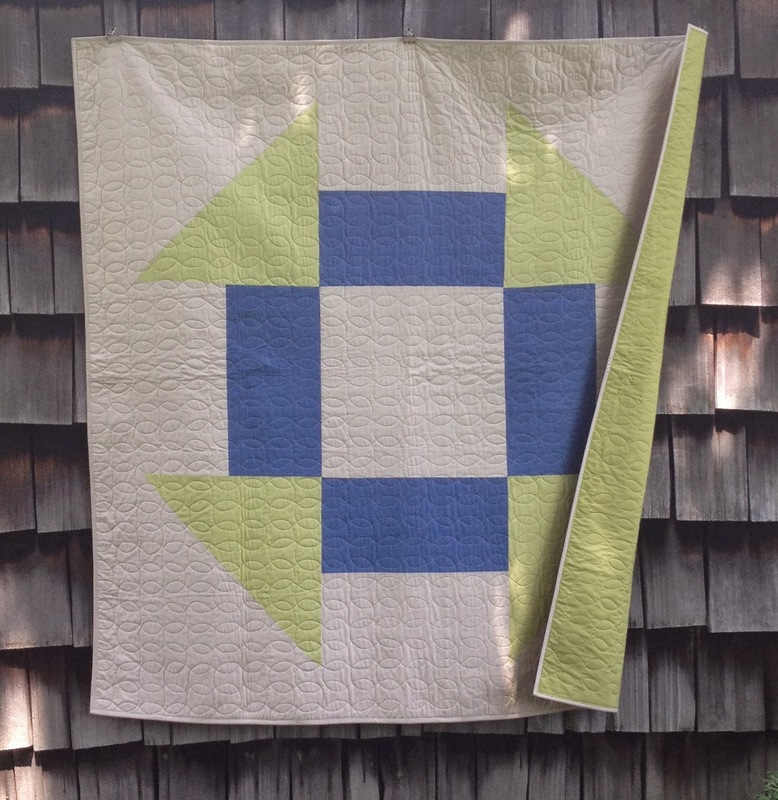 My chapter in the Essential Guide to Modern Quilt Making is on Large-Scale Piecing. In it I share all of my favorite tips and techniques for achieving great results while working in a large-scale format, including how to create oversize blocks and large areas of negative space, playing with scale and composition, fabric selection and cutting, and construction techniques. My pattern for the book is called Ebb and Flow and it features a large-scale churn dash design. 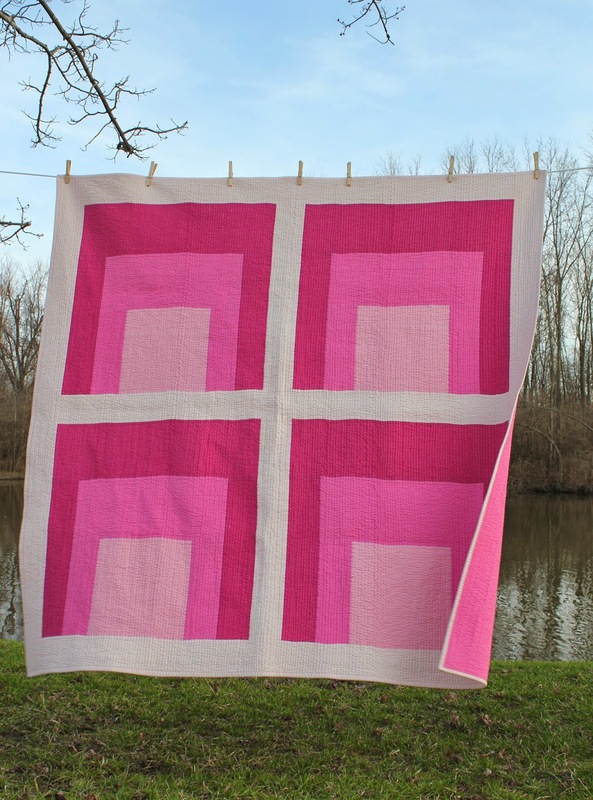 I really love this quilt because it's such a simplified design and it comes together quite quickly, but it has such a strong visual presence. I made the original one for the book using Kona Parchment, Kona Cadet, and Kona Artichoke, and I can't wait to make another in a totally different color palette. I think black, white, and gray could be pretty amazing. My original Anni quilt is also included in the gallery of modern quilts that was curated by Heather Grant. In celebration of the book's release, the Taunton Press, distributor of the book, is offering a 20% discount on it if you order it through their store until July 21. Please use the code EGQM20 during check out for the discount. And learn more about Lucky Spool Media and see what other amazing books editor Susanne Woods has in the works at LuckySpool.com.